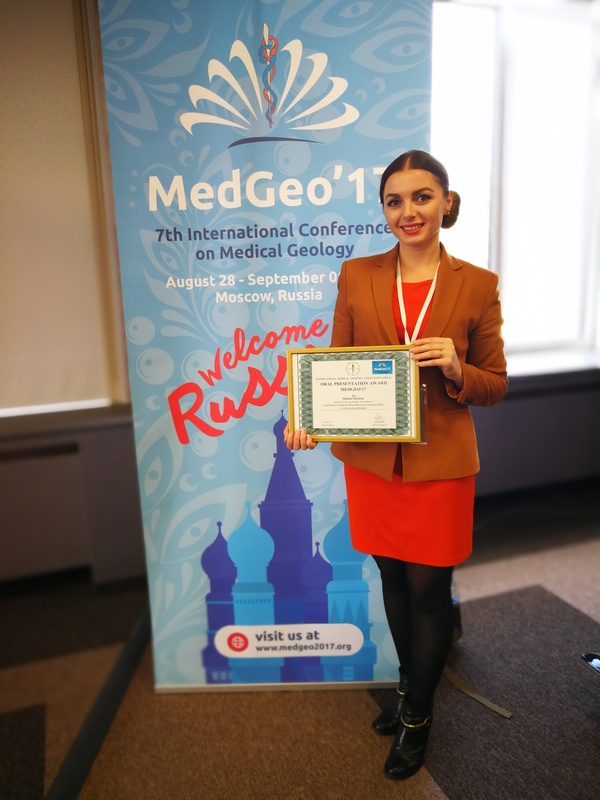 Congratulations to Remediate ESR Tatiana Cocerva who won an award for her presentation at MedGeo ’17, the 7th conference of the International Medical Geology Association which was held recently in Moscow. A blog post will be coming soon! As part of their training, REMEDIATE ESRs go on secondments to other beneficiaries or partner organisations to benefit from the expertise and experience of their hosts. 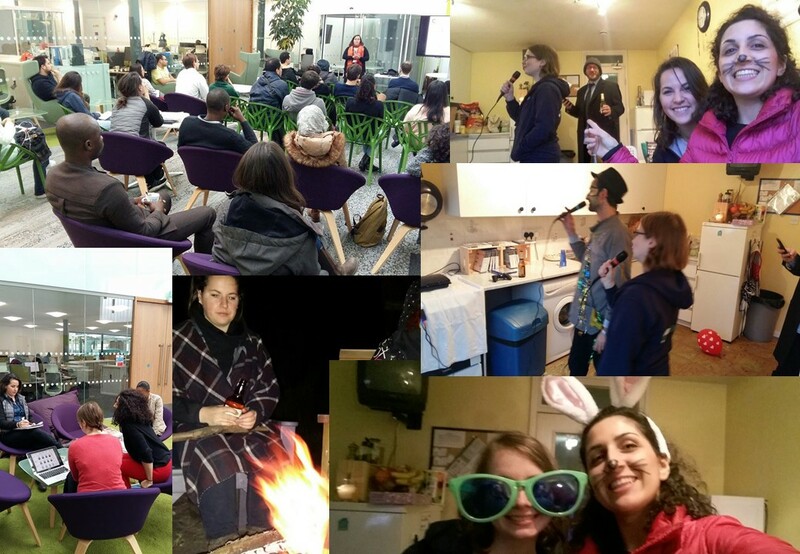 Sabrina Cipullo has some ideas for making the experience great for everyone! You receive a friendly e-mail from your colleague, where they show their interest in a secondment at your institution. The pressure is on! You may be of a calm disposition, but see how that fares when you’re screaming at the ICPMS for breaking down once again, while remembering that you never picked up the box of consumables you ordered the day before, and you just missed the compulsory morning Heath and Self briefing. Well fear not, practice makes perfect; here are a few simple tips to ensure the secondment is a raging hit. My advice has no basis more reliable than my own meandering experience: I embraced the stumbles and screw ups, and turned them into powerful lessons like the ones below. As the host, you have the main role – plan early. Do a Noah and build your arc before the rains come: get as much done in advance as possible. There is no shame in recruiting a little help; sit with your secretary (hopefully you have one at your institution), review all the necessary steps, and do all your sweating and swearing beforehand. Make sure you know all the potential weaknesses of the system and the necessary steps to be taken for overseas travellers (e.g. getting a visa). Planning time is precious since your colleague might stay only for couple of weeks, so make sure all the precautions are taken for things to run smoothly.Make yourself available to help during the planning, also local phone calls are cheaper for you! When helping your colleague finding an accommodation, think carefully about price, and also the location. It might take a while to get familiar with the public transport. Take a look at other properties near you: what do the hosts charge? Finding accommodation might be particularly challenging, especially in more isolated places. Some host institutions cannot guarantee a place on campus during peak season, therefore other options should be explored. Airbnb is a reasonable solution for short stays, but you have to make sure your friend are ready to accept that they might have to make small talk with strangers over their dinner, which sometimes can be intimidating. Once you have sorted out accommodation, you need to make sure that the landlord can provide a receipt or a proof of payment for your colleague to claim back. 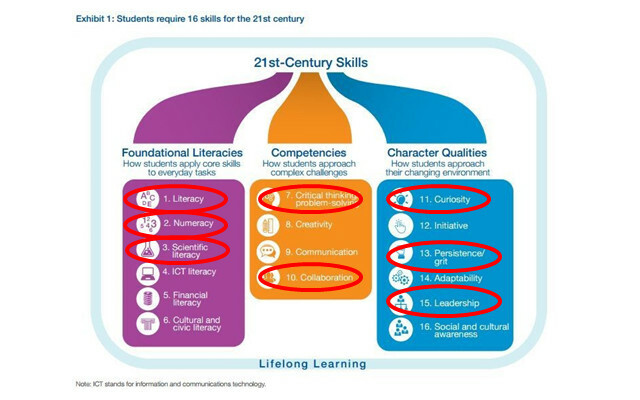 It is important you clarify what the other institutions expect to receive. Before arrival provide several contact numbers (landlord, main student reception, security, and maybe also your supervisor’s phone number) in case of emergency, it can be really stressful as a guest if you can’t find your accommodation and can’t get hold of the host. A good host not only helps planning the accommodation and travel, but since you know your University (institution) better than anyone else, you have to plan all the aspect of your colleague’s stay! There are many chances to interact with host life through websites, virtual tours, and social media. 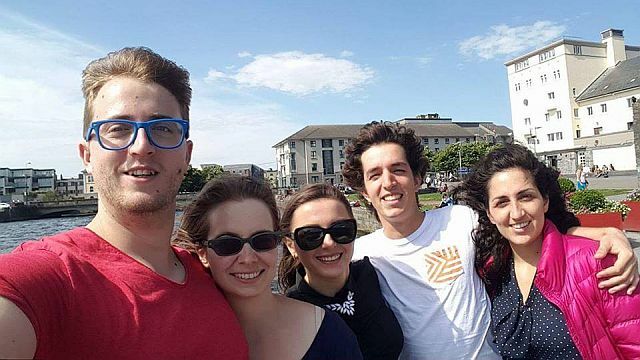 However, visiting the campus will give your colleague a real sense of the atmosphere, so you could arrange a guided tour to meet staff and fellow students, see the faculty, visit the local pub and restaurant, and more. Make sure your colleague is aware of all the student union meetings, lab meetings, and other relevant ways of getting involved. Being an active member in the department can help him/her to gain a better understanding of what opportunities are out there and build a wider network. This is also a good way not to be stuck in front of a computer or in a lab all day, it adds variety to the day which can help decrease the risk of burnout. It is also very important to ‘help others out’ without losing your own focus. 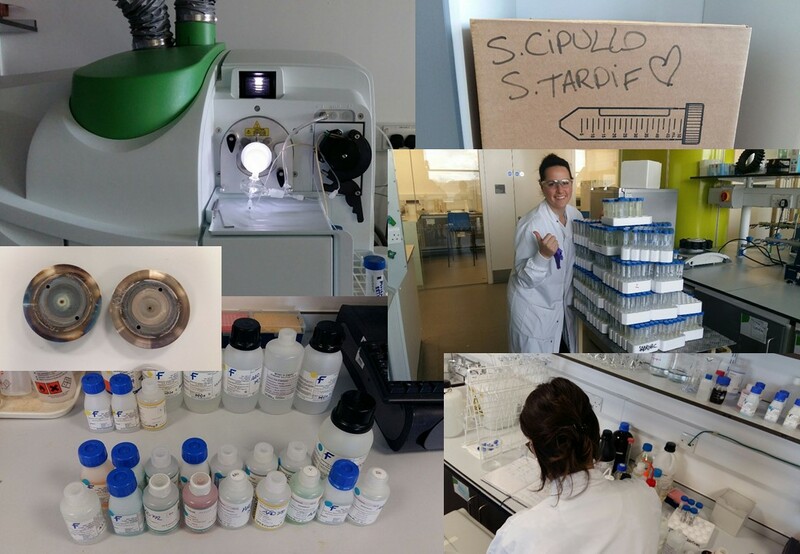 Your positive impact on the world comes when you’re happy, so you really need to make sure you have a plan, a schedule to keep up with your everyday lab-life, but also being able to support and help your colleague visiting. If the rewards aren’t immediately apparent, contributing to the success of others pays off in the long run. Sometimes t’s difficult to say no to co-workers, but keep in mind that they are the one able appreciate your work and they will always be willing to help you out when you need it. 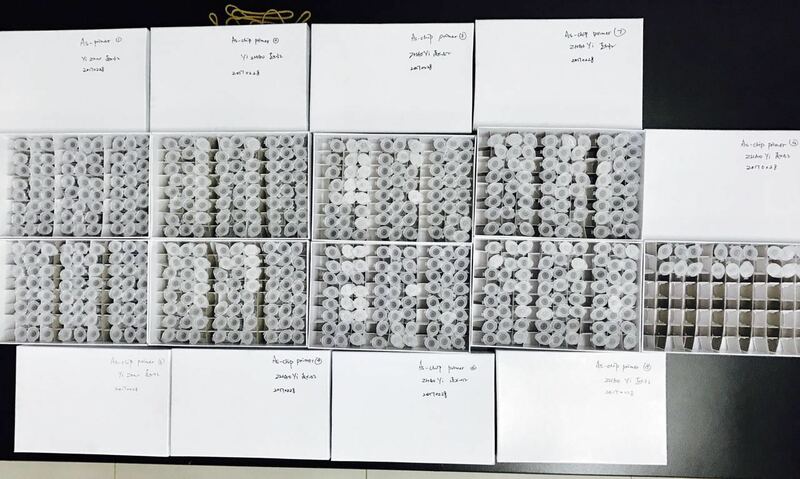 After all, you have to remember that what is obvious for you (the drawer with the funnels, that 1 ml pipette that doesn’t work, or the balance in plant science that you are not allowed to use…) might not be obvious to someone who just got there. The most critical skill is time management, finding a good structure to the day and keeping a day planner helps keep various demands in order. Structure and sticking to set times to write, read, and lab work can be particularly challenging (and stressful) when dealing with equipment, instruments, and people. It is important to set aside time from your research and books to take a break, what a better moment than sharing some time off at the café with your colleague? You can take a walk around the campus – hopefully no need for umbrellas – and have the time to recharge, and don’t forget to enjoy the journey! Now you’re ready. You are the perfect secondment host. I want to thank Stacie for being always interested, motivated, and curious about research. I really had a good time with her, and I am glad that our friendship is not dependant on mood swings and bad hair days. Thanks for your support. I also wanted to thank Coren, for knowing exactly when to tell me what I want to hear, when I want to hear it the most. I consider myself very fortunate for having a chance to work with both of them. It was a great learning experience for me. I wish we had more time to spend together outside work, and visit the UK a little, but I really hope you will come back soon! An art project that makes sounds based on the monitoring data from the pollution in a river. Anyone interested in doing the same for one of their sites? Help to create legislation to protect soil for future generations. That’s a recent to-do list. I like to start every day with writing and checking my list, because it’s one way for me to clear the fog so I don’t miss anything important and can quickly move into “working” status. However, there was a lot on my plate: faced with this long list of tasks, even imagining how I should manage my time to shorten it to a more refined list made me feel tired. 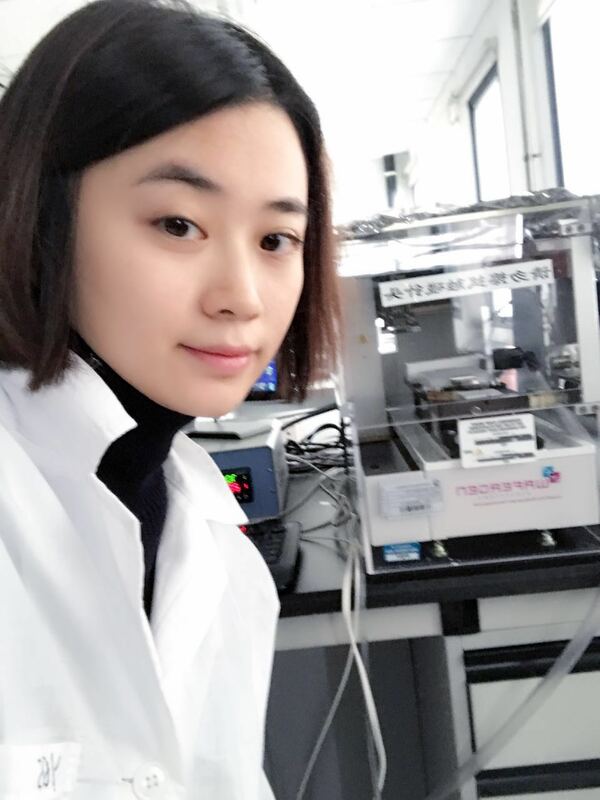 “One by one, one by one, just pick one and focus on it first”, I told myself, and dragged my body into the lab with my tired “soul”. Days passed. One day I found, not for the first time, that I couldn’t fall asleep, and I was staring at my to-do list. I suddenly realized the to-do list is not only helping during work time but also “helping” me after work! I couldn’t help wonder if there is a so-called work and life balance, especially for a fallen leaf who is far away from its root. 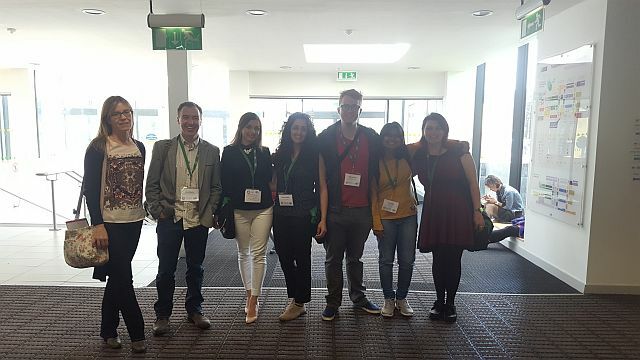 REMEDIATE students and supervisors from the REMEDIATE project went to the first joint international conference of ISEH 2016, ISEG 2016 and Geoinformatics 2016 at National University of Ireland (NUI), Galway, Ireland during August 14–20, 2016. 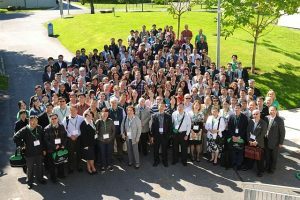 This conference was a great experience for all of us, listening to great talks and world-class speakers. It was a good opportunity to showcase our research, and meet people working in related areas of environmental science, geochemistry, geoscience, and other disciplines. 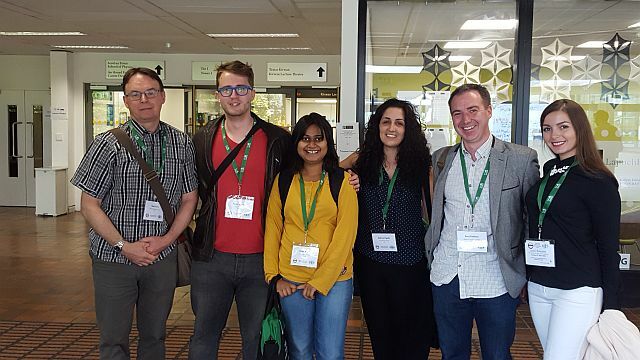 Tatiana, Diogo, Neha, and myself, in addition to Dr Siobhan Cox presented our work at the parallel session on “Contaminated land with IBN” chaired by Dr Rory Doherty. Peter and Coren presented a poster, and Coren was awarded best student presentation cash prize! Well done! 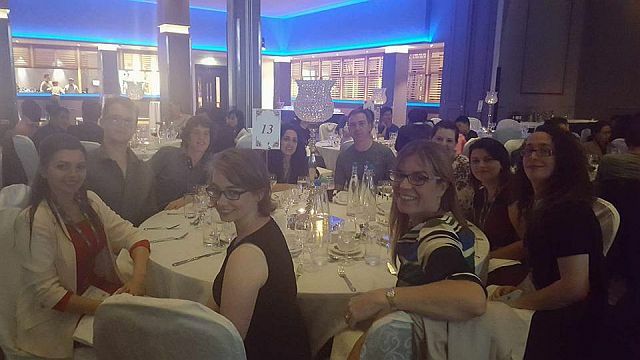 This was a good moment to share within the ESR REMEDIATE group but also to add a few more friendly faces to our network and to share conference moments, the sunny day and few drinks with Maria Nevin, Aisling Cunningham, Alessandro Singlitico, Emanuela Pignotti, and Ellen R. McGrory. 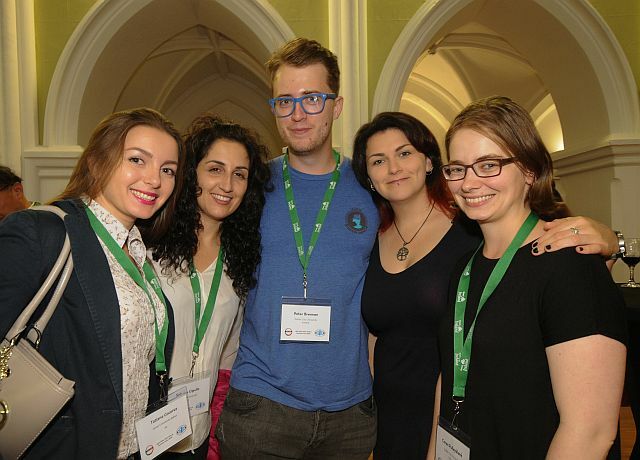 We also had the chance to explore NUI Galway with beautiful historical buildings and enjoy traditional Irish music performances during the welcome reception, and a contemporary Irish show with traditional dance. The ESR and friends tried some Irish step dancing, showing notable rapid leg and foot movements. 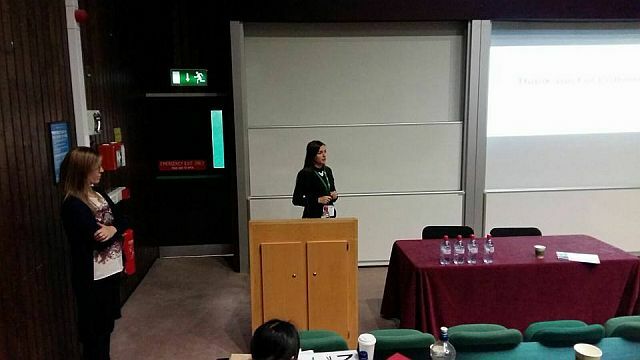 Thanks a lot to Dr Chaosheng Zhang for your wonderful organization of this international conference. The meeting was truly exciting and inspiring for me, we are very glad and honoured we had the opportunity to participate and we are all looking forward to coming to the next one! 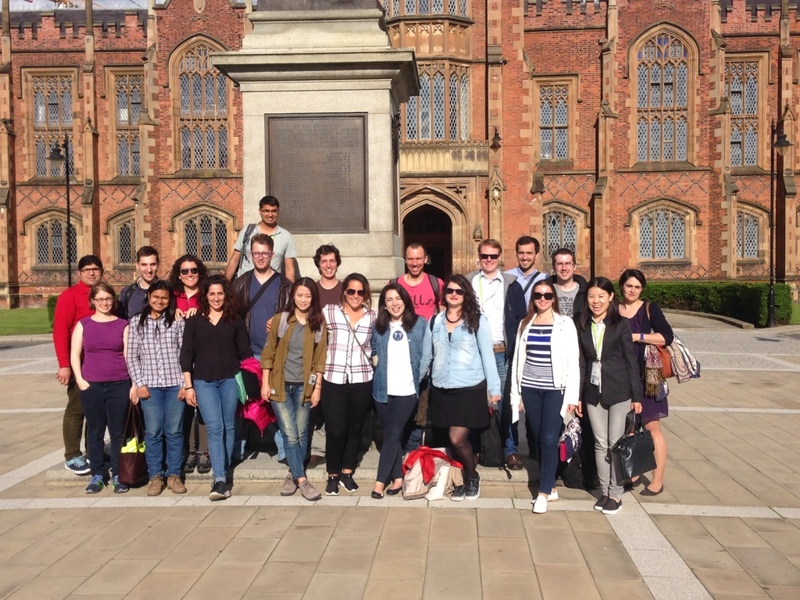 Recently we had summer school in Belfast organized by the Remediate project team. Although the summer school agenda was a conglomerate of multifaceted segments ranging from history of industrial activities, soft skill sessions, risk assessment studies, 3 minute thesis presentations, site visits etc, still I felt a bit reluctant to travel from Torino to Belfast in the summer. To attend I took a taxi at 2:00 am, waited four hours for a flight from Brussels to Belfast, and roamed around the city centre to find a travel adaptor. After all this, when I reached the University Residence at around 6:00 in evening the only thought that came to my mind was ‘Why?? What’s the use of this?? I could have taken courses in my university for developing scientific skills and taken some memberships at Social Clubs for brushing up social skills and here I am doing everything to attend Summer School.’ And then the activities related to summer school started just after one hour. No!! It was not a lecture but an informal dinner at a Mexican Restaurant where our group could meet another Researchers group who were working on biogas facilities and was on the final stage. There I realized that even the students who are going to defend their thesis in just some months also have smiling faces and can talk about things other than their PhD topics. 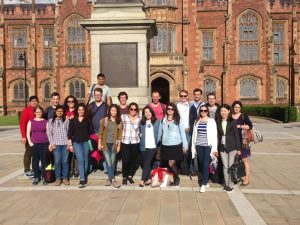 The reason that summer school was worth all the efforts is not limited to only meeting new people but goes beyond this which I found in the four days of fun and learning in the city of Belfast. There were some lectures about history of Belfast, the course of industrial development, the spread of Gasworks in Europe which actually made it simple to understand how contamination is linked to source. It was much easier to conceive the mutations in contamination process after the development of activities was unclouded.To make it more understandable there was a bus city tour organized in evening and a site visit at one of the gasworks site and a landfill site where we got chance to see the Belfast and to understand the pathways of pollution. The conventional routine of a researcher’s life seldom leaves space for thinking about making friends and knowing each other. 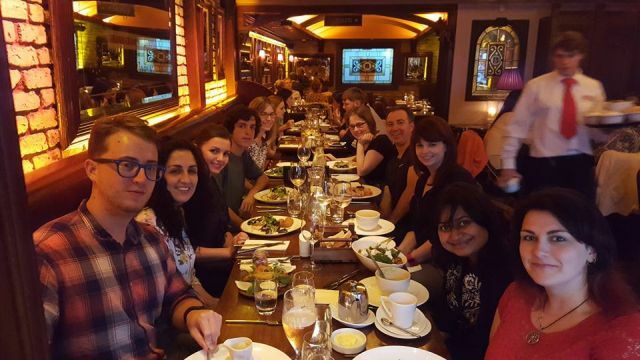 Even most of us end up doing desktop dining when the deadlines are at close quarters.During our five days stay at Belfast most of us ate together. Waiting for each other, walking together in a herd, dragging someone to reach destination earlier, playing weird games in the evening, talking in night and watching movie in the kitchen until everyone sleeps were some of the pleasures that made us lively again. The time spent together turned the professional welding into close friendships easily. 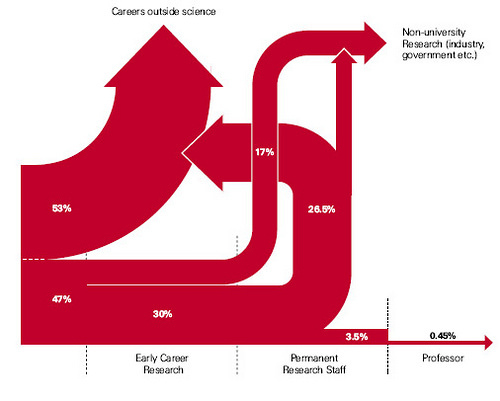 While reading articles and scientific journals every one of us dreams about publications incessantly. Looking at profiles in ResearchGate and thinking ‘How will I feel if I have that many citations?’ consumes our mind to a level where ResearchGate becomes the most adopted social platform along with Facebook. We think about networking skills only when we see our Professors exchanging their views with other professors.The sessions on Tweets about our research, networking opportunities, way to approach another researcher during a conference, use of blogs told us about the plethora of opportunities available to us for discussing about our research apart from ResearchGate. Most of us work on things which have depth and solve a particular challenge of a wider picture. Working everyday on the same precise area makes it easy to forget the colossal effect it has on the broader scale.The sessions that were closely linked to our own areas, the basic conceptual model development lessons, 3 minute video presentations reinvigorated the process of appreciating the bigger pictures of the research. 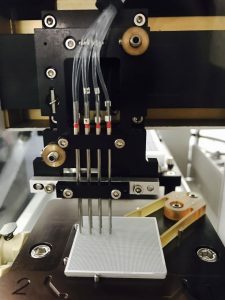 It also made it easier to view the different areas in which our own research can proceed or other ideas that can be included in our projects too. 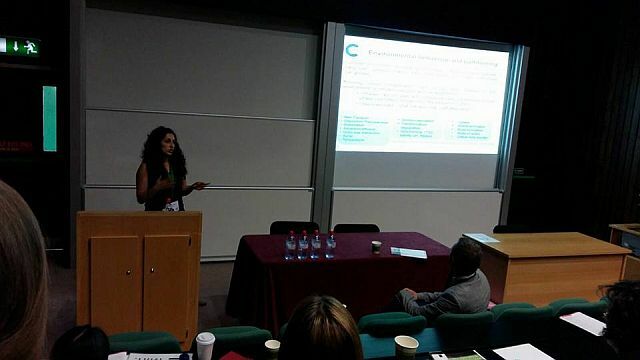 Discussing and sharing ideas on the widespread areas, meeting the scientists from different specializations, viewing the industrial use of the research, listening to workshops from career mentors not only gave chance for further collaborations but also reminded us not just to think about our careers after completing the PhD but also to plan it wisely and work towards it from an early stage. All in all sharing ideas outside the laboratory turned out to be super fun.